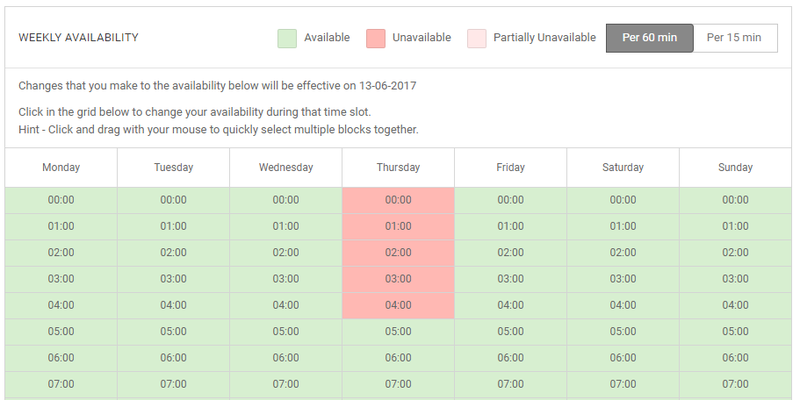 The pink color indicates Un-Available times and green indicate Available. If the Availability approval feature is on you will see the option, at the bottom of the availability chart, 'Submit for Approval'. Click that to submit your unavailability for approval. 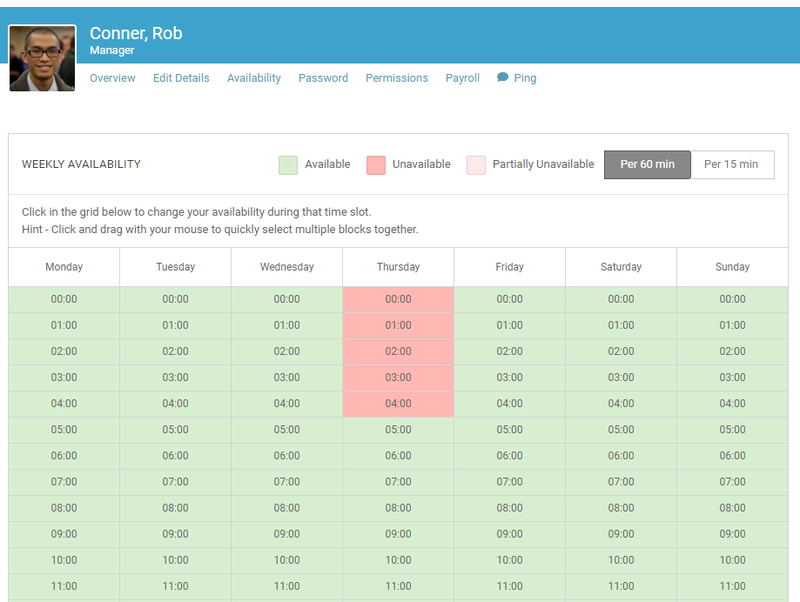 Weekly Availability is meant to be set for routine events and isn't meant to be changed on a daily basis: if you have one-time appointments or meetings then please use the Future Availability feature. If you want to request formal vacation days off, please see our Leave Requests. 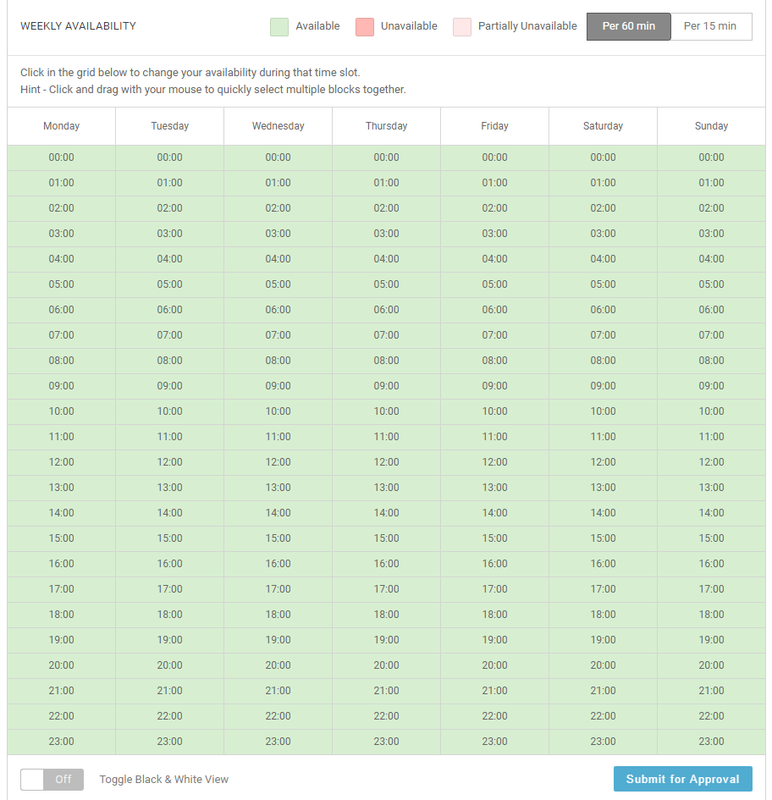 Note that the Future Availability settings willover-ride your Weekly Availability.